Dr. Jacobson earned his Bachelors degree from the University of California, Los Angeles(UCLA) and earned his Doctorate in Dental Surgery(DDS) from the prestigious Ostrow School of Dentistry at University of Southern California (USC). Dr. Jacobson has a passion for community public health and has also earned a Masters degree in Public Health (MPH) from California State University of Northridge (CSUN).He has been involved in many community outreach programs including a humanitarian trip to Cartagena, Colombia taking part in providing free dental work to over a 1,000 underprivileged residents. He has also helped the oral health of homeless men and women in the Union Rescue Mission. 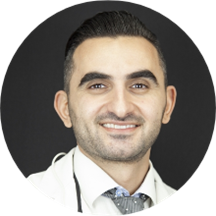 Dr. Jacobson has a unique interest in cosmetic dentistry and focuses his treatment plans around minimally invasive techniques to create a nicer, healthier smile for his patients. He continues to take courses learning the latest techniques in cosmetic and reconstructive dentistry. The field of dentistry uniquely combines Dr. Jacobson’s passion for continual learning and for using his education to influence and improve the lives and lifestyles of those he treats. Dr. Jacobson wishes to instill in his patients an appreciation of the importance of dental care for overall health and wellness.Dentistry is constantly evolving, and Dr.Jacobson incorporates the latest cosmetic techniques and state-of-the-art technology to provide his patients with the best modern dentistry has to offer. I would highly recommend Dr. Jacobson, excellent bedside manner, updated state of the art technology and he genuinely cares about his patients!